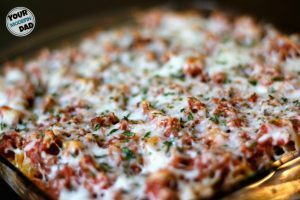 There seems to be a misconstrued idea that creating a home-cooked meal is going to involve long hours and a lot of work. It doesn’t have to be that complicated. Really. You can even get the kids involved. 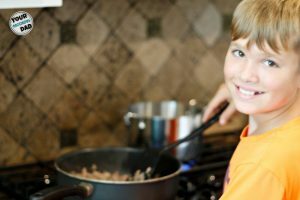 Our kids love to cook – and honestly, so do I, but most nights we need quick meals. Baseball, football, dance, wrestling, homework, playtime with friends… our after-school nights are busy, but we never miss a family dinner. It’s our one time to really connect throughout the day. It’s our time to talk & ask questions and hear how everyone’s day was- it starts with cooking the meal. 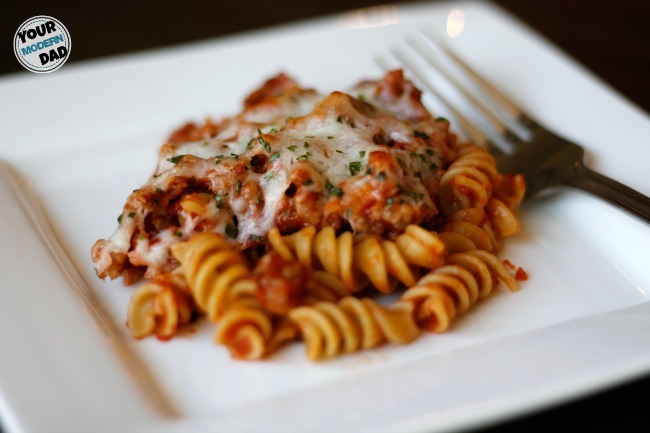 We turn to Barilla® pasta and sauces to help with our back-to-school night dinners. Yes, things are busy, but dinners are important. Our kids love to cook, so getting them involved in the cooking process just makes sense. It allows us to have more time with them and it teaches them important life skills. Today, I want to share one of the easiest meals that our kids love to help with: they call it the ‘half-hour power pasta,” which has been shortened to “half hour power.” It makes sense because we usually make it for them before a game or practice to keep them full & energized. You can grab everything that you need in one area of the grocery store & then head home & start cooking. We get Barilla pasta & sauce (all in the same area). Believe it or not, Barilla has 38 different pasta cuts & 14 different sauce varieties, so the kids pick what they want when we make it. It makes for some stress-free meal combinations, which works out for us. It makes our busy back-to-school nights a little easier. That’s really all there is to it. 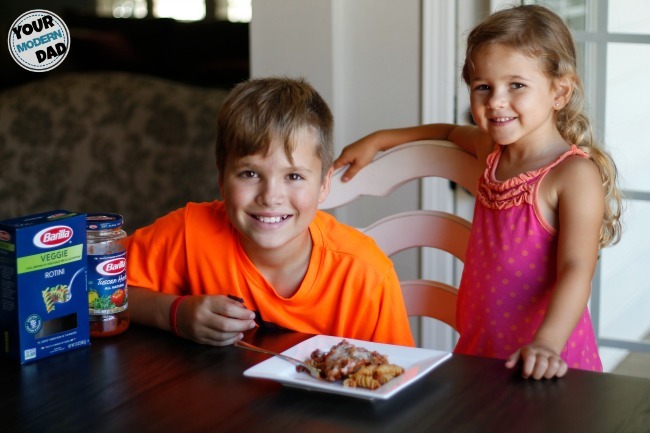 Like I said, Barilla couldn’t have made our back-to-school nights any easier if they tried. Just pick a pasta & a sauce, add a few ingredients to change it up from night to night and you’re set for a quick dinner that everyone loves. 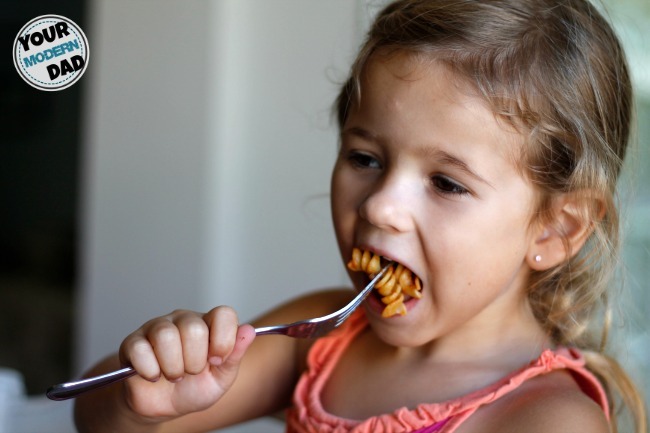 We have Barilla pasta at least two to three times a week – it really is that simple and when the kids like something that much… you don’t mess with it. 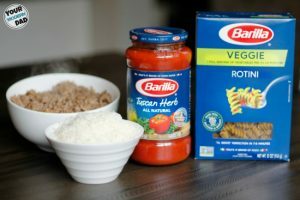 I have partnered with Life of Dad and Barilla for this promotion.